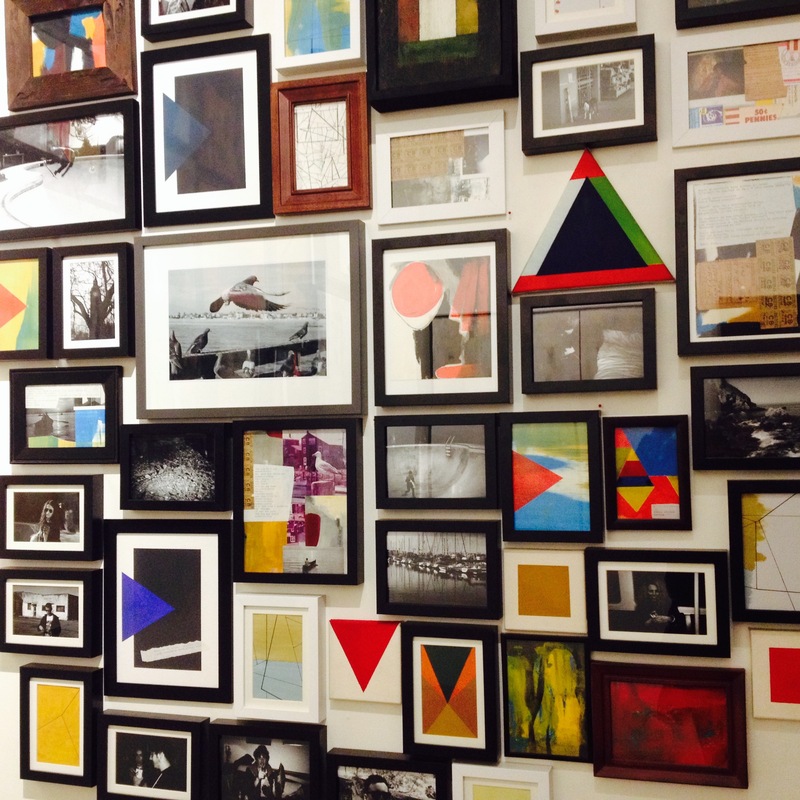 art opening – .stART here. I’M BAAACKKK! I’ve been on hiatus since my west coast move in September but am back at this blogging thing with my first official Cali-based post, a Monday Funday feature. These are friendly Monday reminders to always live in the moment, get out and have fun! Today, I’ve got my hand picked calendar of this week’s events across the country. The Armory Show is one that I’ve always wanted to check out but constantly said, “next time.” This annual contemporary and modern art fair is the largest in New York City, showcasing over 2,000 artists from hundreds of galleries around the globe. So if you’re in the area and can treat yourself to sensory overload at its best, go for it! Tickets start at $40 day passes to $75 run of show passes. 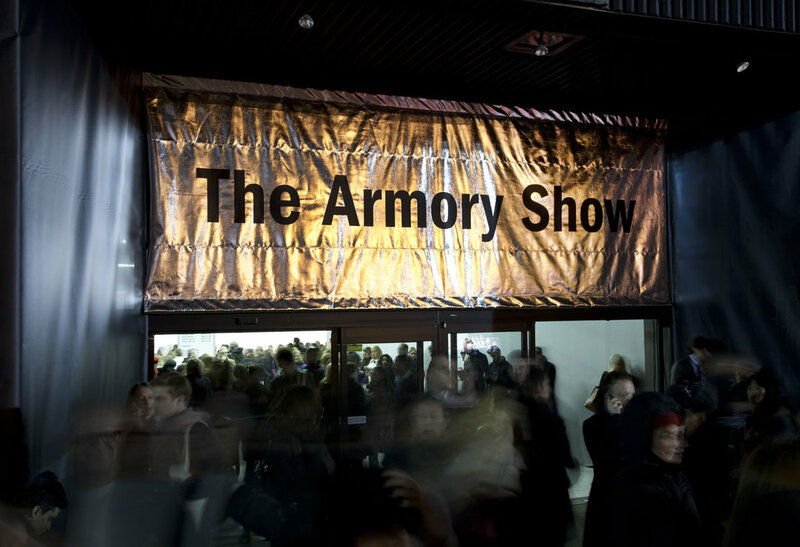 For more information, visit www.thearmoryshow.com. Who run the world?! Girls. 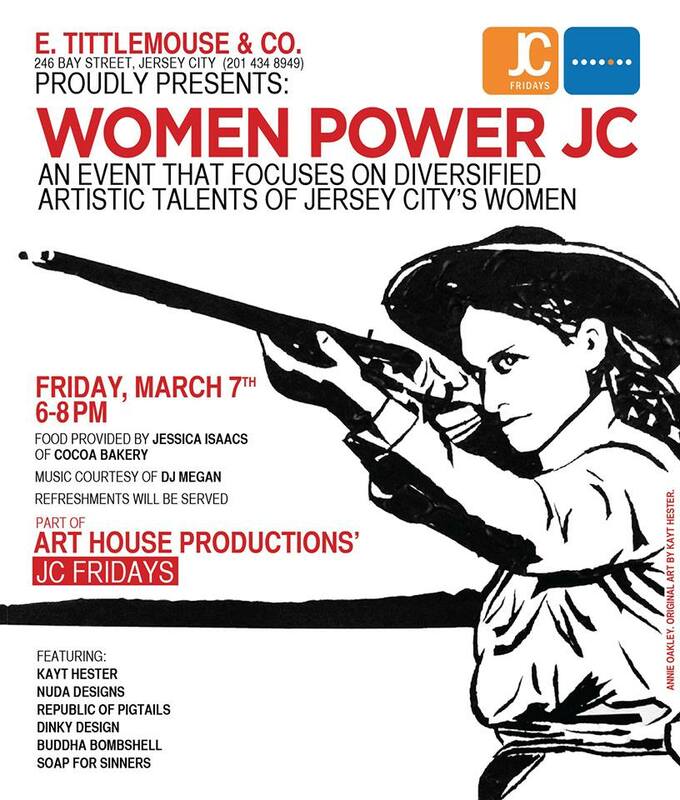 This event presented by E. Tittlemouse & Co. features the diversity of Jersey City female artists and their talents. My friend, Rika Gunawan, will be there with her unique collection of handmade, limited edition hair accessories for women and children of all ages, Republic of Pigtails. Stop by and say hi! This is just one of many events during this month’s “JC Fridays” presented by Art House Productions. For a full calendar of events, visit www.jcfridays.com. 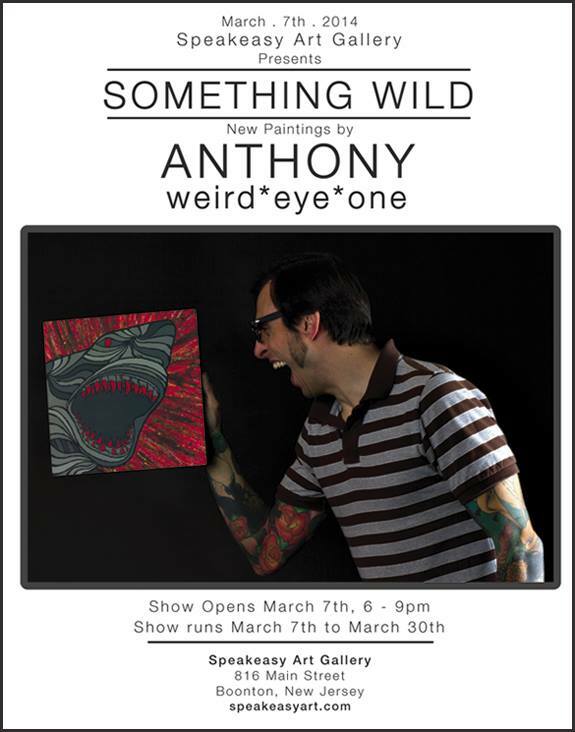 I first met Anthony “Weird Eye” One back in March 2012 at his “Colorful Eye Candy” solo show and quickly became a fan of his work. Two years later, this painter, muralist and street artist takes his intricately patterned style of “movement and motion” and evolves into “Something Wild.” Watch “Weird Eye” One discuss the upcoming show presented by Speakeasy Art Gallery and check out a sneak peek here. 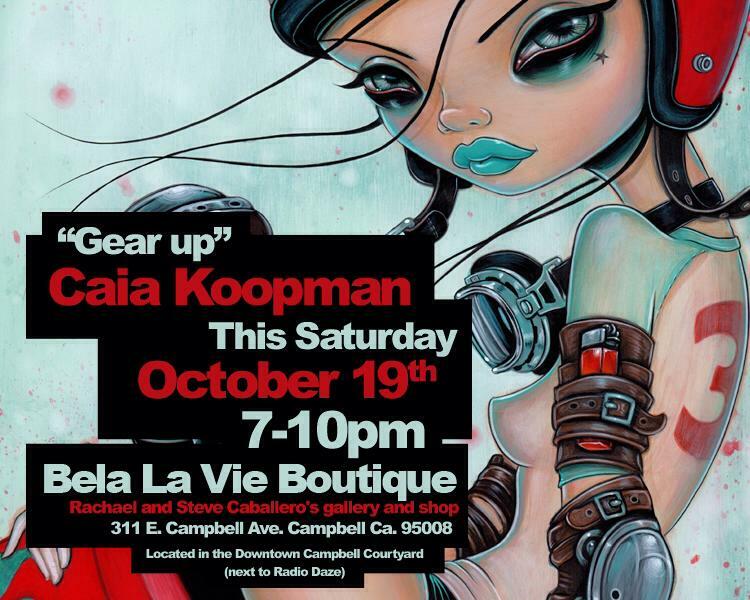 For more event information, visit www.weirdeyedesigns.com. 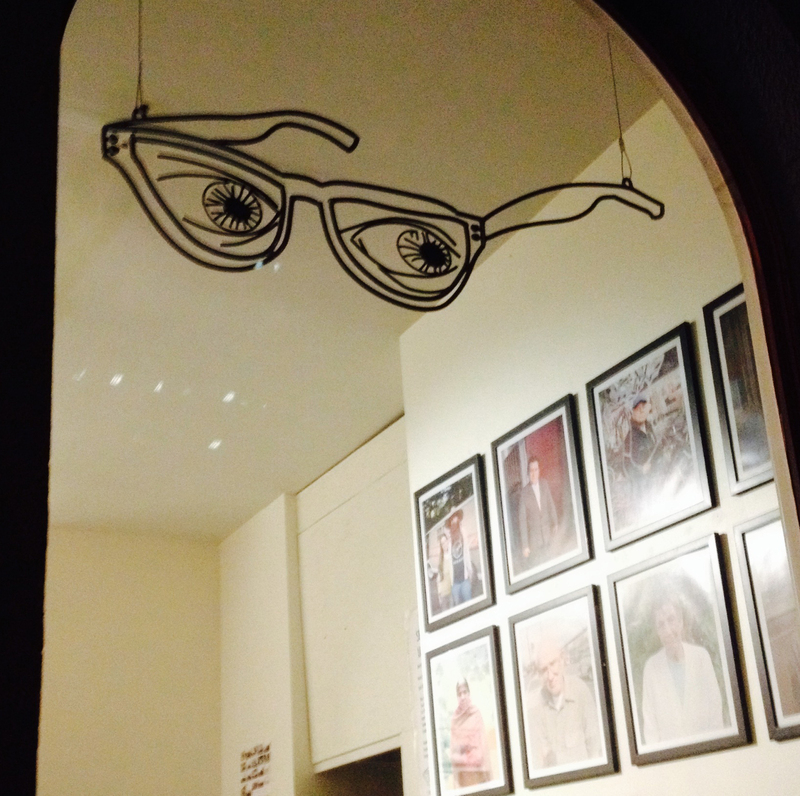 I finally got to check out Seeing Things Gallery, owned and operated by photographer Jai Tanju last month. 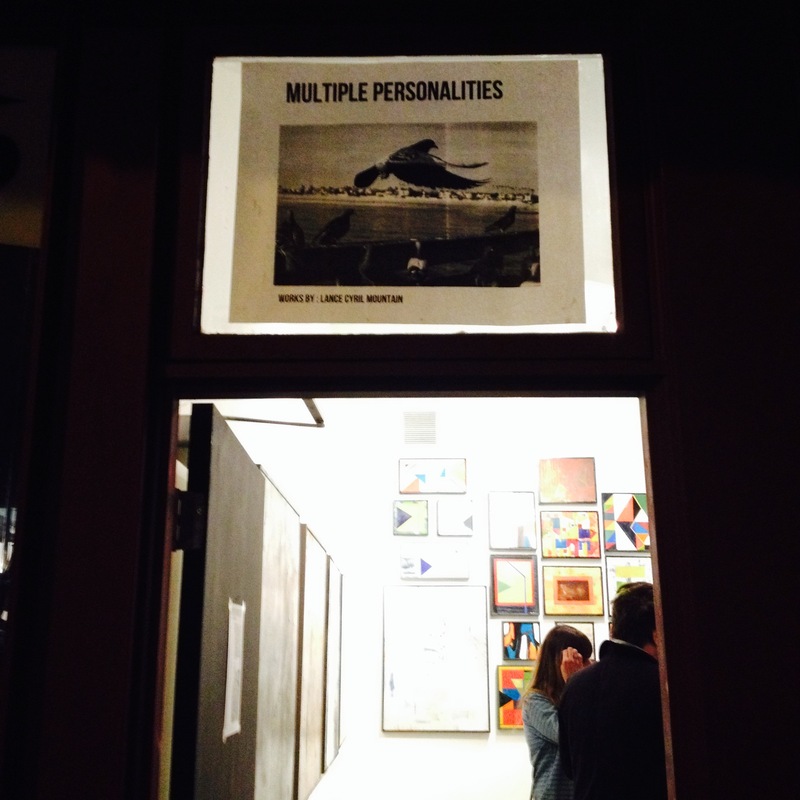 I caught the current “Let’s Meet in the Middle” show featuring individual and collaborative mixed media artwork from husband and wife, David Imlay & Ana Carolina Pesce Imlay. 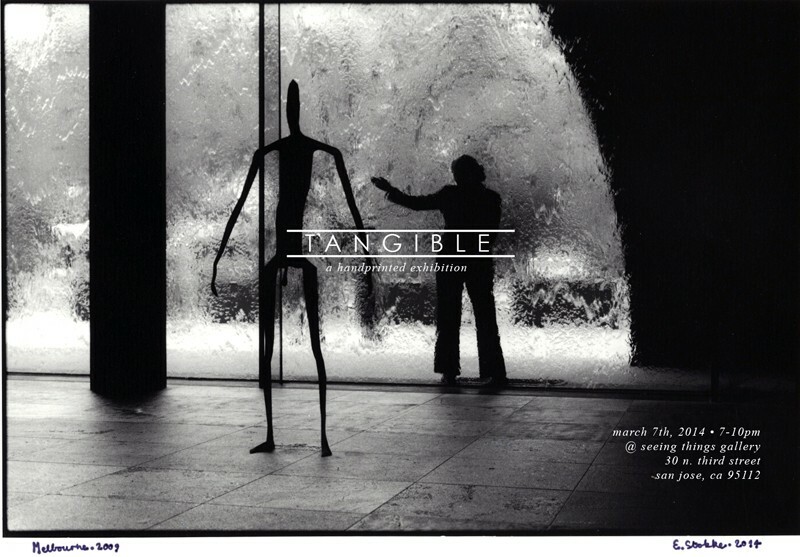 This Friday, a new show, “Tangible” opens where the artists “have created photographs in the traditional sense, using their hands to make a physical object.” For more information, visit www.seeingthingsgallery.com. 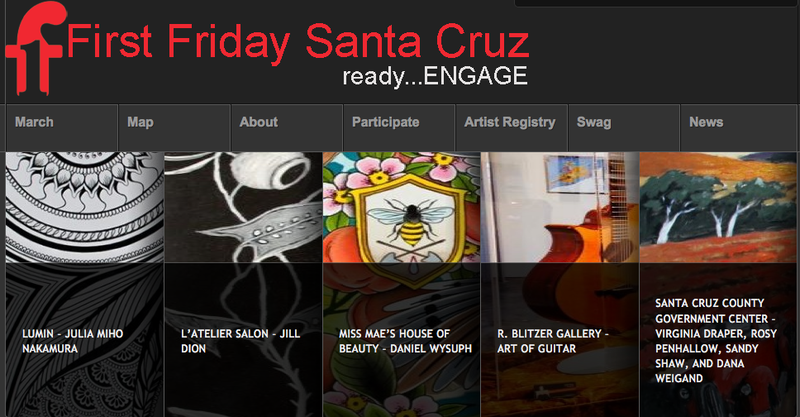 For a complete event listing, visit www.firstfridaysantacruz.com. Today’s a twofer on .stART here. Not only do I have a Fresh Friday Finds for you but also an Art Opening. TGIF! Philly based artist Sophie Elliot (who happens to be a twin – told you it was a twofer Friday!) recently graduated with a degree in Art and Design. 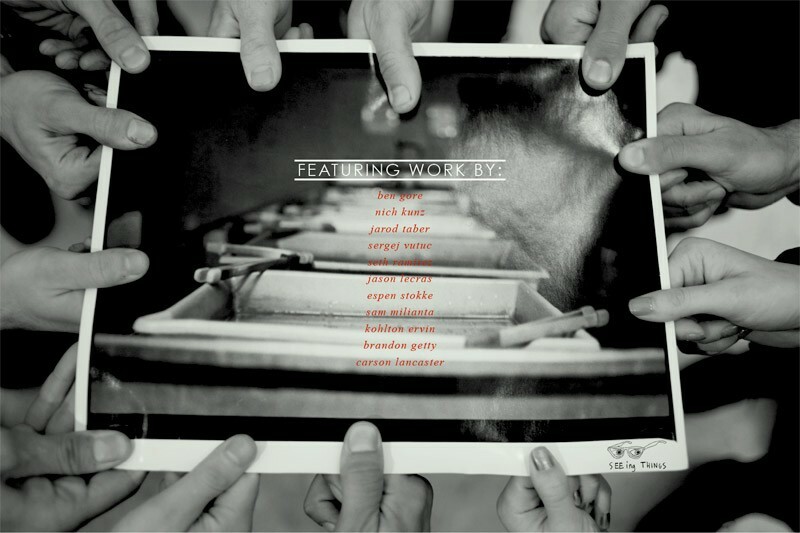 Her mixed media artwork will be available for purchase at Mugshots Coffeehouse in Philadelphia for the next two months. There is an opening reception today, May 10th from 7-9pm at the Fairmount Avenue location where her work will be showcased until June 8th, then to the Brewerytown location until July 1st. Be sure to check it out if you are in the area! 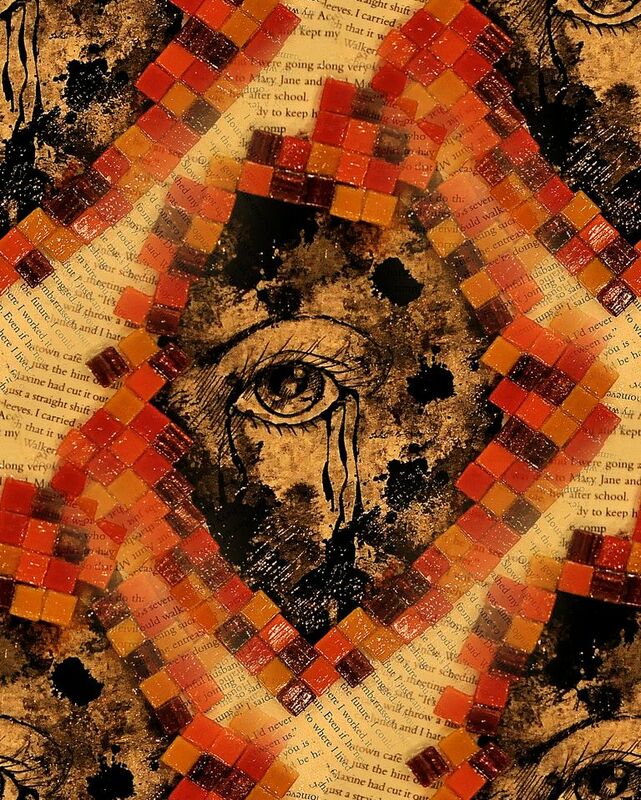 She has a passion for illustration, mainly working in mixed media. 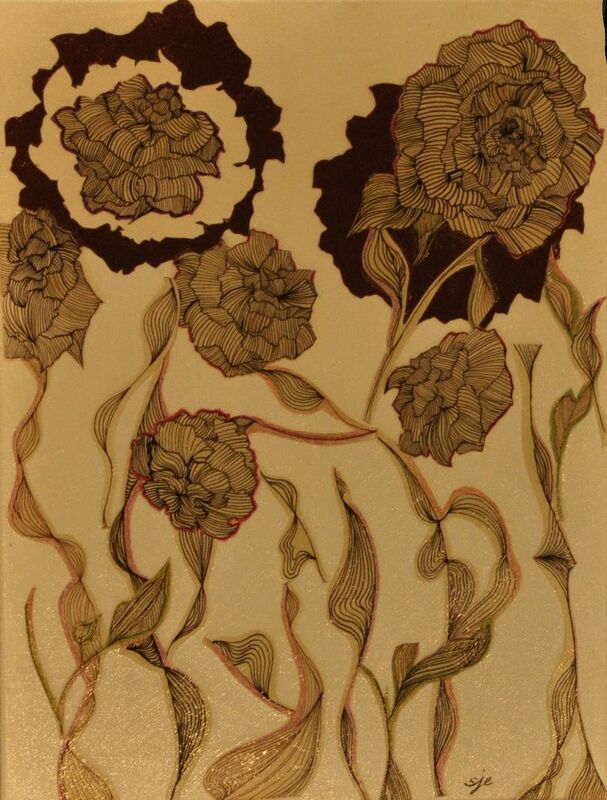 From pen and ink to watercolor and acrylic her silhouette series expresses her passion for nature and the beauty in simple forms. Inspired by poetry and dreamlike imagery she continues to express emotion and passion through her art. A couple weeks ago, my coworker David invited a few of us to the opening reception for “Ides of March” by New York City based artist James Austin Murray at the Narthex Gallery of St. Peter’s Church on Lexington and 54th Street. I took some photographs of Murray’s large scale oil on canvas works, which I later found out were specifically created for the space. His technique and application really reminded me of vinyl records. 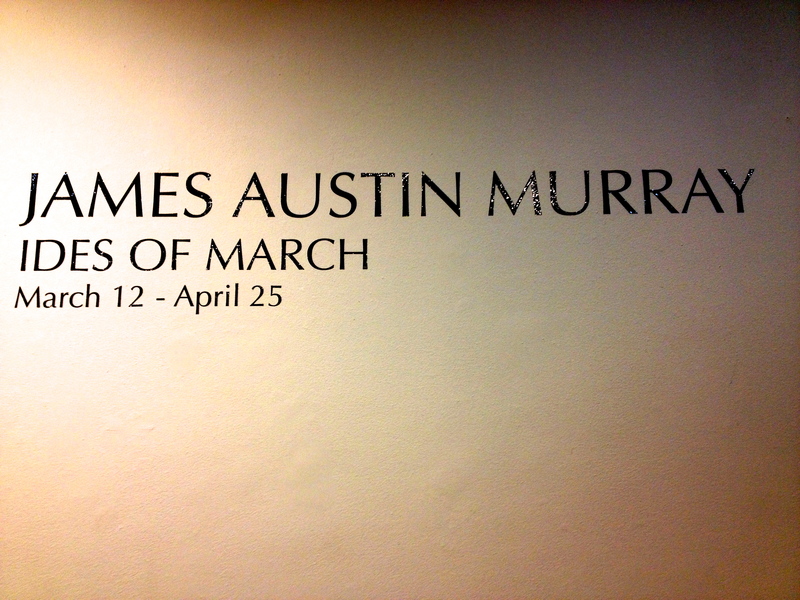 For more about James Austin Murray’s work, visit http://jamesaustinmurray.com/. “Ides of March” is on display at the Narthex Gallery of St. Peter’s Church, 619 Lexington Ave. NYC, through April 25. 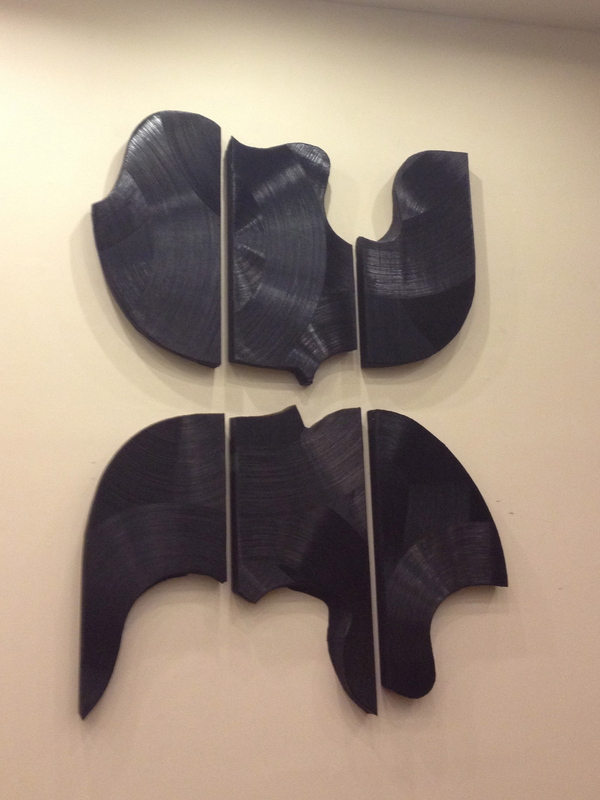 The color black, the subject of my painting, is all absorbing. It’s the hungriest of colors sucking all the visible spectrum into itself. 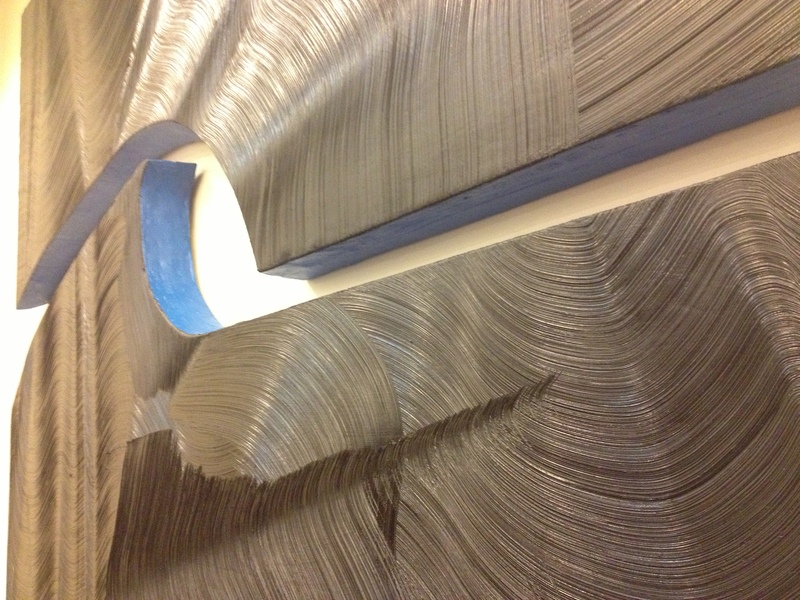 The benefit of black is not only that it’s so deep, but the fact that paint is a pigment suspended in a binder. 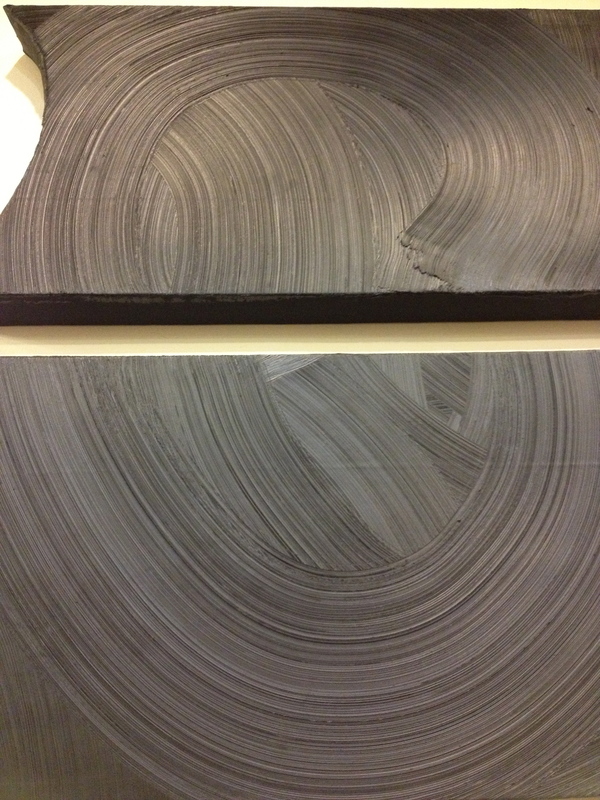 In oil pure black paint, absorbs the light spectrum and is also reflective. To me these paintings are not about the dark, as some have wondered aloud. They are about the light they reflect. I find them full of light and strangely bright for being black paintings. It is their blackness that make the reflections so much more effective. They reflect the colors around them, because of this each one feels like a new painting when placed in a different setting. All paintings reflect light, most reflect the spectrum of the colors in the paints. My current work is about painting and the paint. Are they also sculptures? No. They are paintings. If they were sculptures they would be sculptures about painting. 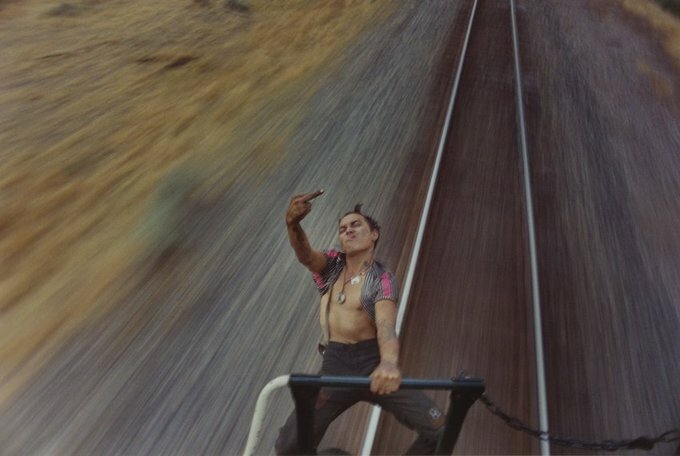 For all you west coasters, Mike Brodie‘s opening reception and book signing for “A Period of Juvenile Prosperity” is tonight at M+B in Los Angeles from 6-8pm.